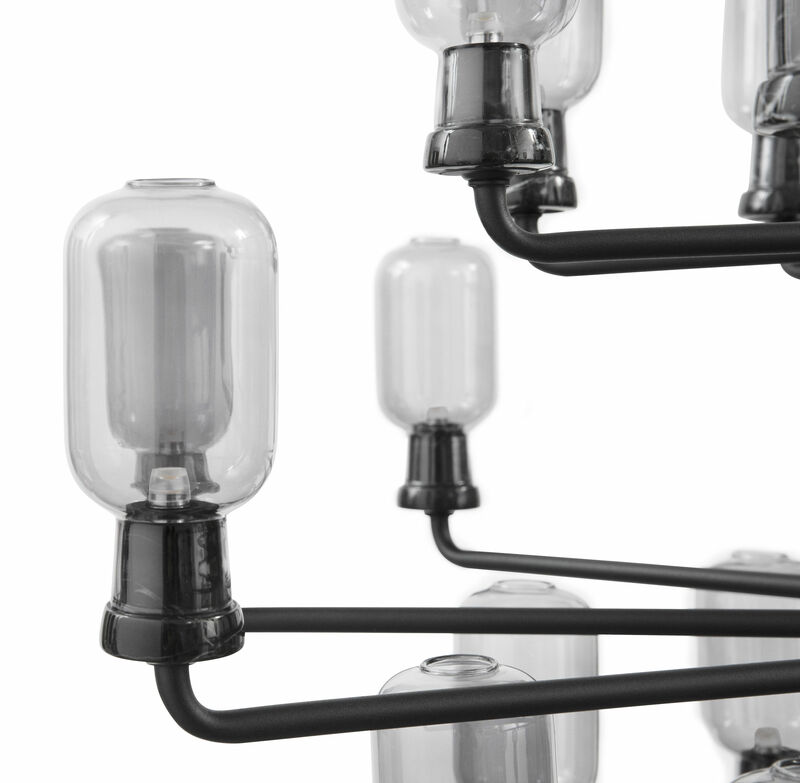 A show-stopping design has been added to the Amp lighting collection by Danish designer Simon Legald. 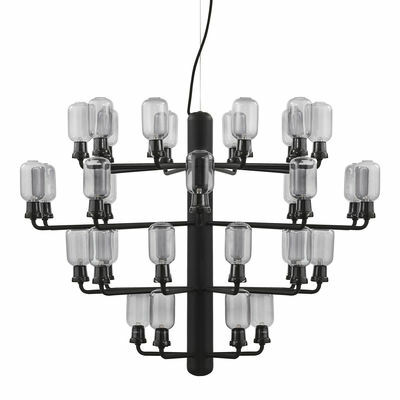 Just as the existing designs in the collection, the Amp chandelier is made from a refined combination of solid marble and light glass. 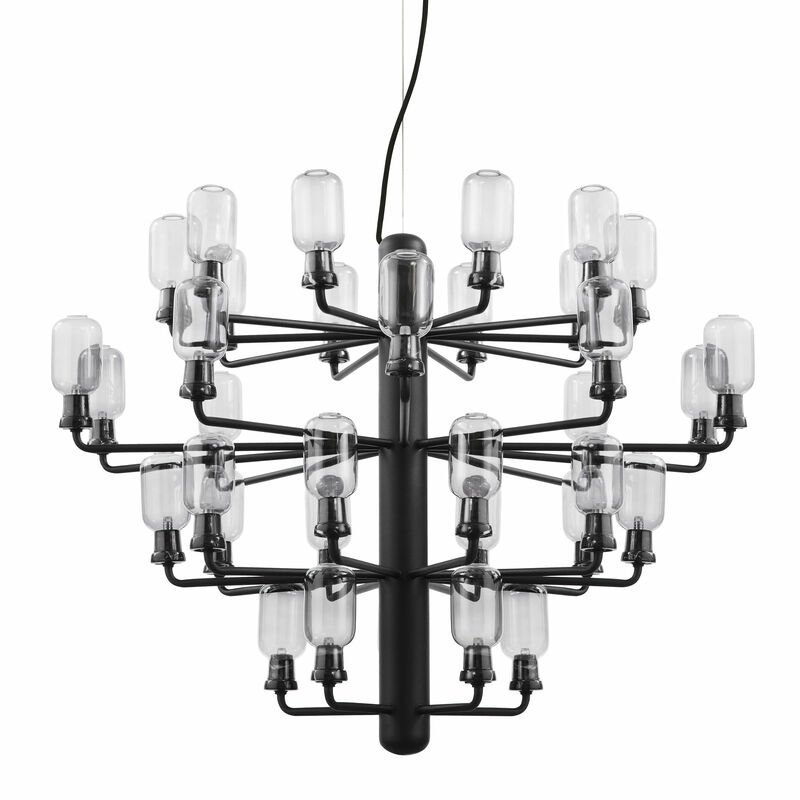 The chandelier is built up around a central steel cylinder, from which small arms grow out to form a voluminous oval shape. Each arm is crowned by a miniature version of the Amp table lamp, which by virtue of repetition breathes life into a sculptural and dramatic lamp. 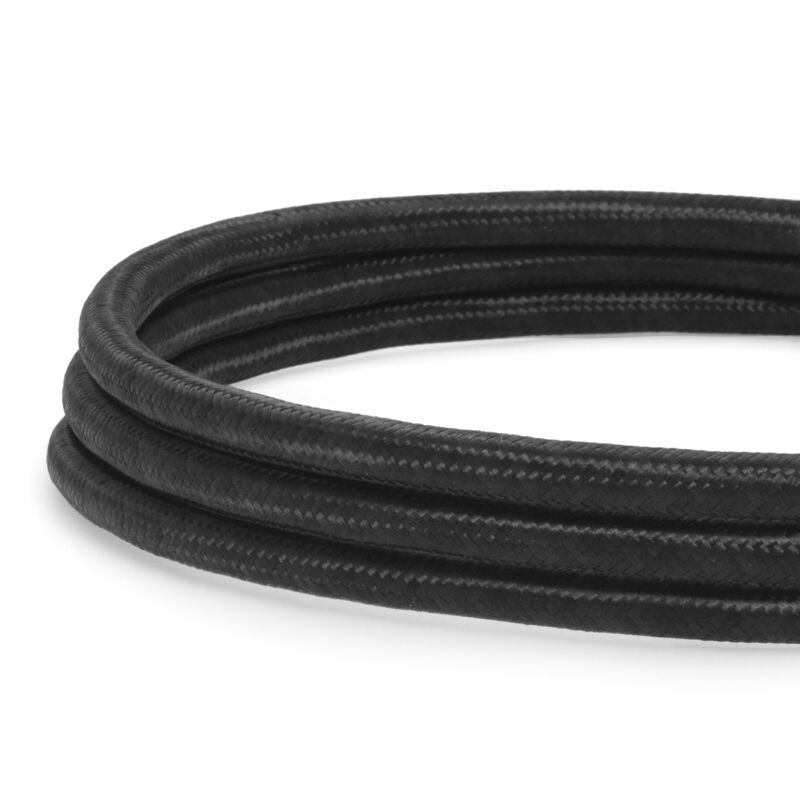 The simple oval shape and glow of the Amp lamps are an obvious reference to old tube amplifiers from the 1960s. 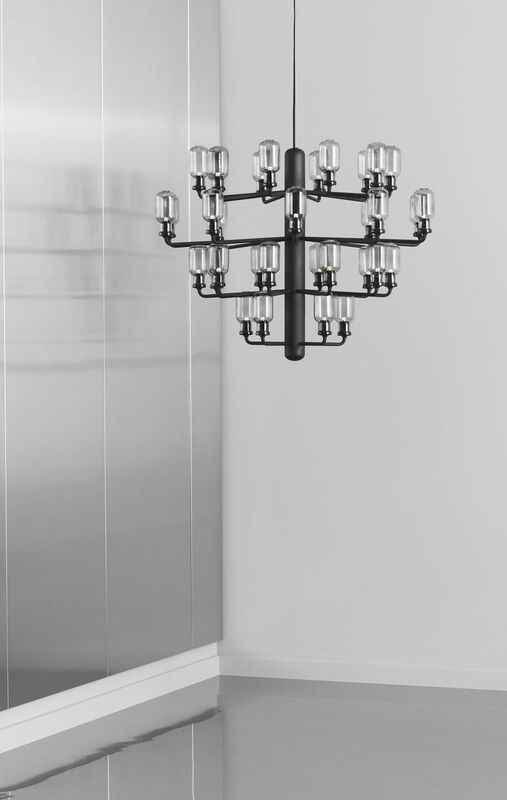 The warm and inviting light, which is also characteristic of classic chandeliers, combines in Amp with a modern and daring idiom, giving the chandelier both a nostalgic and contemporary feel. 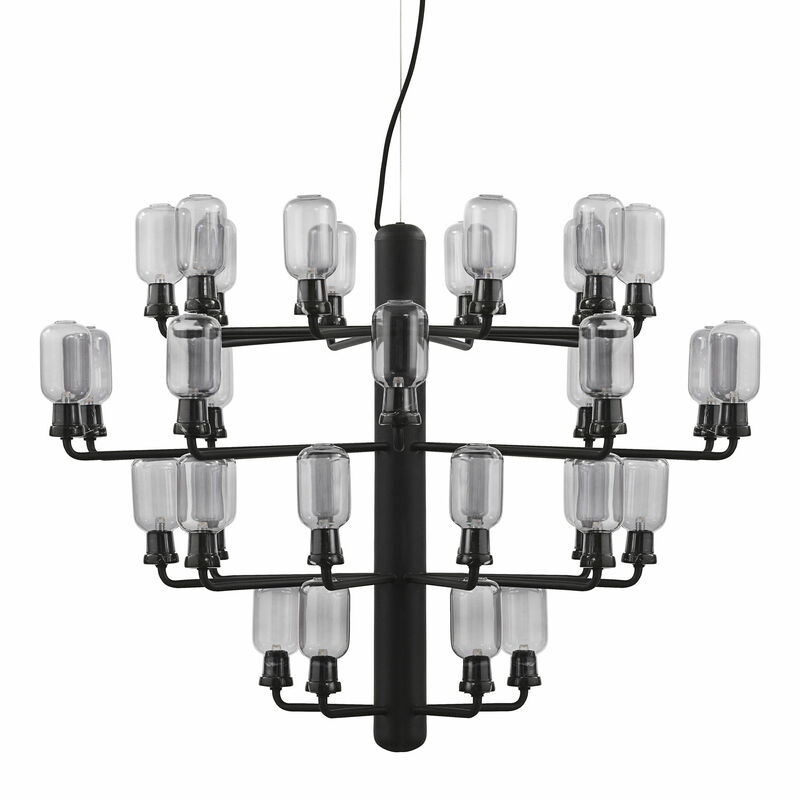 The Amp chandelier comes in two sizes, with 15 or 35 arms, and it is available in three colors. A perfect addition to a company's reception area, a hallway or over a dining table, where the eye-catching design can really shine through.